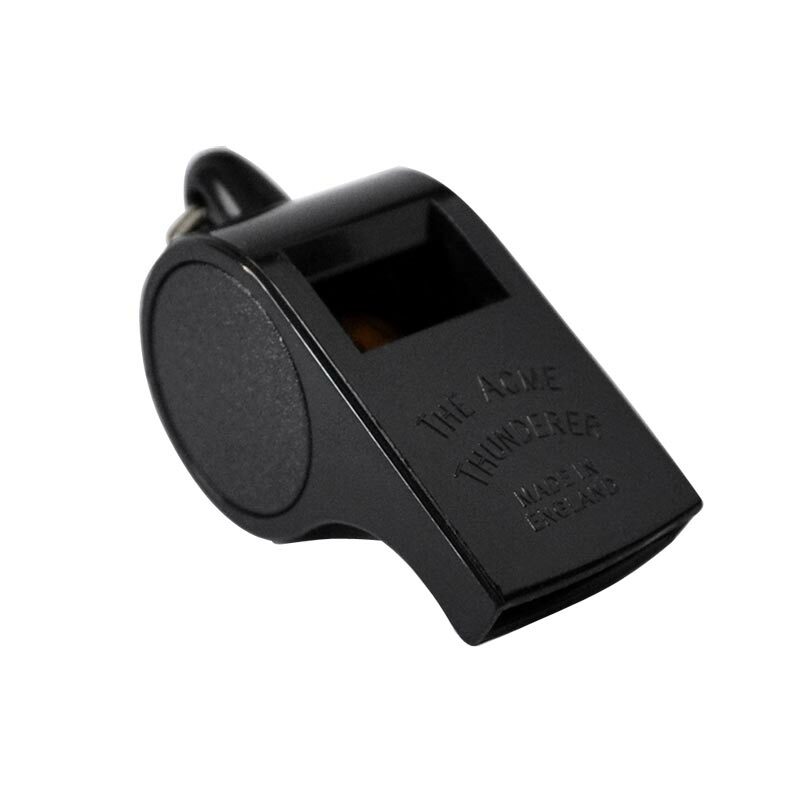 The Acme ® 558 Thunderer Whistle is a large whistle with square mouthpiece. Tough and bite resistant - longer life than standard plastic whistles. Dimensions: 5.5(L) x 2.5(W) x 3(H)cm. Great plastic whistle for officiating! Bought this whistle with not sure how a plastic whistle would compare to a metal one, but after using it for 2 pre season rugby games I think it is a great whistle and likely to use it all season now. Would recommend this to anyone thinking of buying a new whistle.